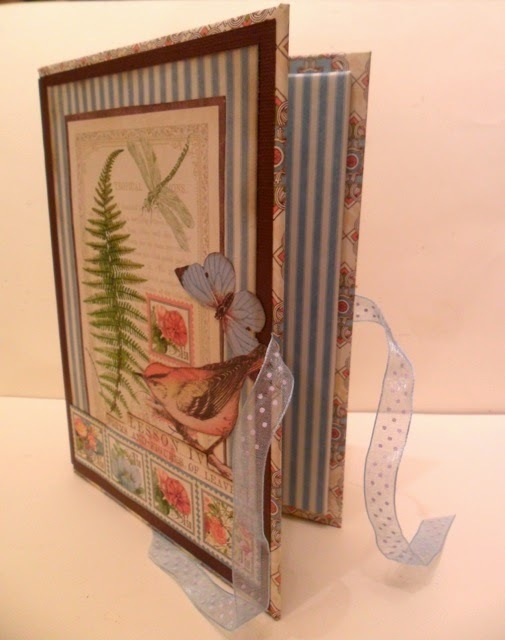 I hope you enjoyed your weekend and yesterdays post showcasing Lyn & Karens fabulous samples. 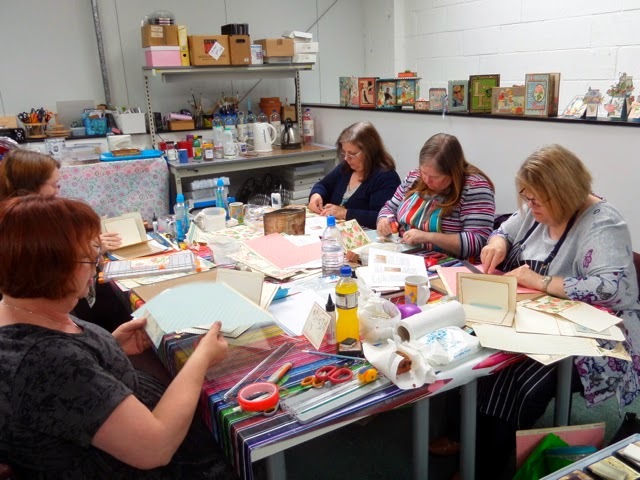 I was up early for a Sunday morn and headed off down Ninas treasure trove of a shop 'ItsCraftingTimes' in Shepreth to run a Botanical Tea workshop with her lovely ladies. I've not been to that part of the country before so was totally reliant on the sat nav to take get me there, and it did ………. 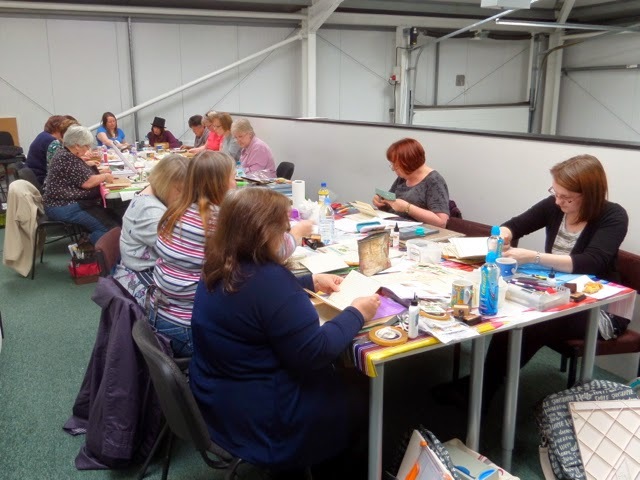 What a fabulous workshop area too, set out on a mezzanine floor with a view across the whole shop. Definitely well worth a visit if you haven't been already, you could be there for hours browsing through all the products. 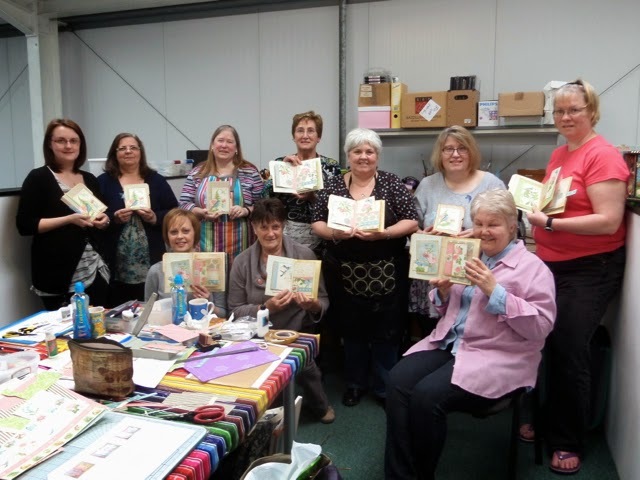 We had a great time crafting away on our Junque Journals and threw in a little shopped at lunch time too. Purely by chance I started to look through a large black album by the till full of the most amazing heritage papers. To my amazement I found the Titanic papers I'd seen at Ally Pally a couple of years ago, didn't buy and have been looking for ever since. They're part of the Family History and Heritage collection designed by Sally, (who I also got to meet) exclusively for the shop, and are absolutely amazing. My order's in. 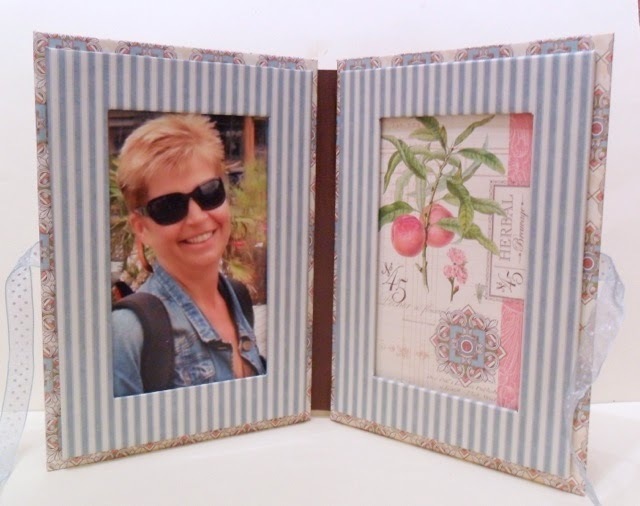 Morning Clare, I adore your double photo frame, the decoration is really beautiful, the papers are gorgeous, I love it !! 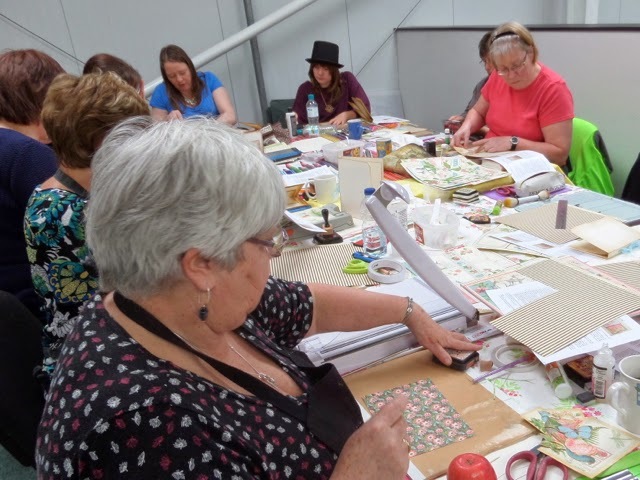 The piccies of your workshop are fantastic, everyone enjoying themselves and producing beautiful projects. Good Luck to Harry and all who are taking exams, I certainly don't envy you !! Clare, I love, love, love this photo frame!!!!! Would love to see more of it on a video. My granddaughter, Layla, is also finishing up her exams this week!! I fly back to North Carolina for her graduation from Elon University next week!!! She will have a degree in Forensic Biology and a minor in Criminal Justice!!! What a smartie!!!! Wow 19 exams for Harry, wow, that does seem like a lot. I am sure he will do well and how exciting that he wants to be a furniture designer/architect!!! Keep us posted. 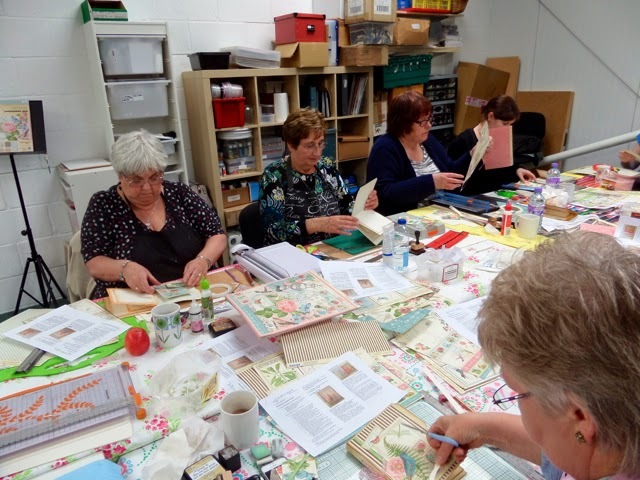 Loved looking at the photos of the ladies having fun creating your gorgeous projects. Take care, talk to you soon.